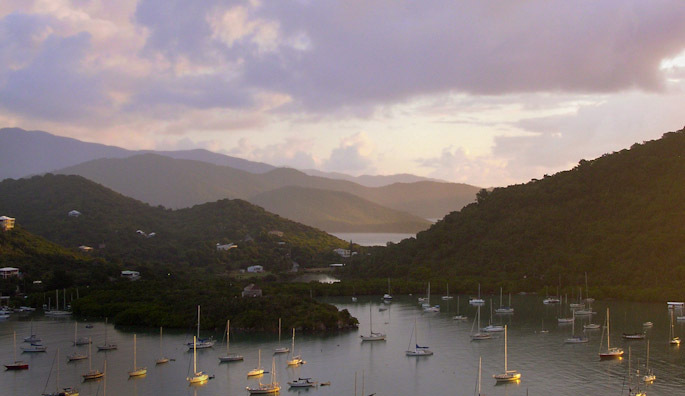 Our villa is located on the east side of the island, overlooking Coral Bay Harbor. We are in the hills above the village of Coral Bay, facing east with wonderful views and cool tradewinds. We are within walking distance of the village and several excellent restaurants such as the Aqua Bistro restaurant and Sweet Plantains, specializing in West Indian food. But for more information go to our page on things-to-do. You'll see that verything is close and convenient. Return to Our Main Villa or our Treetop Cottage.